Play Frank – Drilling for Wins, part 4! Earn up to 120 Free Spins and become the King of Blackjack this week! 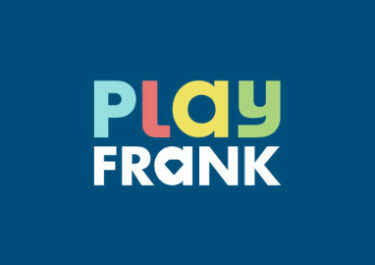 Prepare for yet another bumper week at Play Frank as the team has set-up two exciting challenges. First players can drill again for wins and collect up to 120 Free Spins. On the weekend, all are invited to compete on Blackjack for the most wins and be crowned the King of Blackjack. Not yet completing challenges at PlayFrank Casino? Then sign-up now to claim their 100% Welcome Bonus up to £/€/$ 200 and an additional 100 Free Spins on Starburst! Up for another challenge? Then get ready as all players will be “drilling for more wins” this week at Play Frank with up to 120 Free Spins on Butterfly Staxx™ up for grabs. Players get 20 Free Spins on the first deposit and if they wager specific amounts on the eligible games they get up to 100 extra Free Spins. Minimum deposit of $20 is required to receive the Free Spins, which will be instantly credited on each step of the challenge. Wagering requirement is 40x FS winnings, subject to Play Frank’s Bonus Terms and Conditions. Play Blackjack from 29th – 30th July 2017, be crowned the King of Blackjack and collect a king size cashback. These are credited as bonus on Monday by 12:00 CET and carry a 30x wagering requirement. Bonus Terms and Conditions apply. The player that first reaches a certain number of wins on Blackjack during the weekend becomes the King of Blackjack. Eligible are all LIVE Casino and table games. Launched in 2014, the casino is operated by Everymatrix N.V. and holds UK, MGA and Curacao licenses. They boast a large amount of games for play on desktop, mobile or tablet from Netent, 1×2 Gaming, Betsoft, Booming Games, Elk Studios, Endorphina, IGT, Leander Games, Microgaming, NextGen, NYX Interactive, OMI, Pariplay, Play’n GO, Playson, Quickspin, Spigo, StakeLogic, WorldMatch, WMS and Evolution Gaming for their Live Casino. Maria Casino – £3,500 St. Patrick’s Day Challenge! 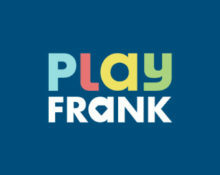 Play Frank – Weekly Casino Challenges! Play Frank – Casino Challenge Bonanza!